Home EVENTS	4th of July SALE!! Online sale starts tomorrow, July 4th up until this Sunday, July 7th. In-store sale starts this Friday, July 5th until Sunday, July 7th. SUMMER tanks and tees are 25% OFF (excluding SALE tees) and if you buy 3 stickers, you get the 4th one FREE! This promotion applies for both online and in-store purchases! 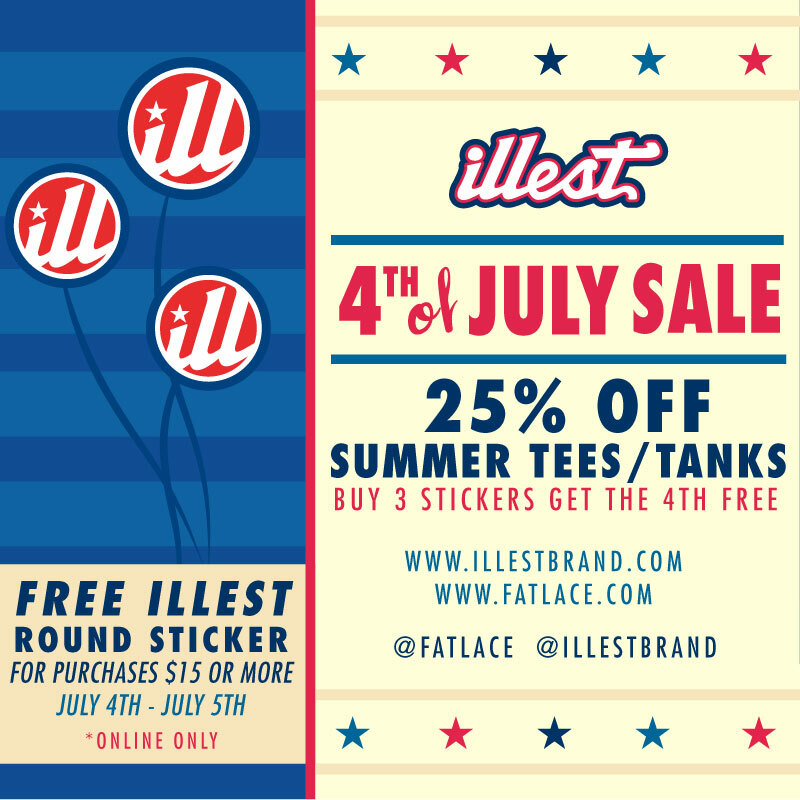 Valid only on July 4th and 5th (Thursday & Friday), for all ONLINE purchases of $15 and over, you will receive a FREE Illest round sticker! The 4th of July sale ends this Sunday, July 7th, at 11:59 PST.